The Urban Community North Park has all the ingredients for the cool school: It’s culturally diverse, has art galleries, boutiques, trendy bars with handcrafted cocktails, local brews, and foodie-approved eateries. It’s edgy, it’s cool — and it’s official: Forbes magazine named North Park as one of America’s best hipster neighborhoods, joining such spots as L.A.’s Silver Lake and San Francisco’s Mission District. 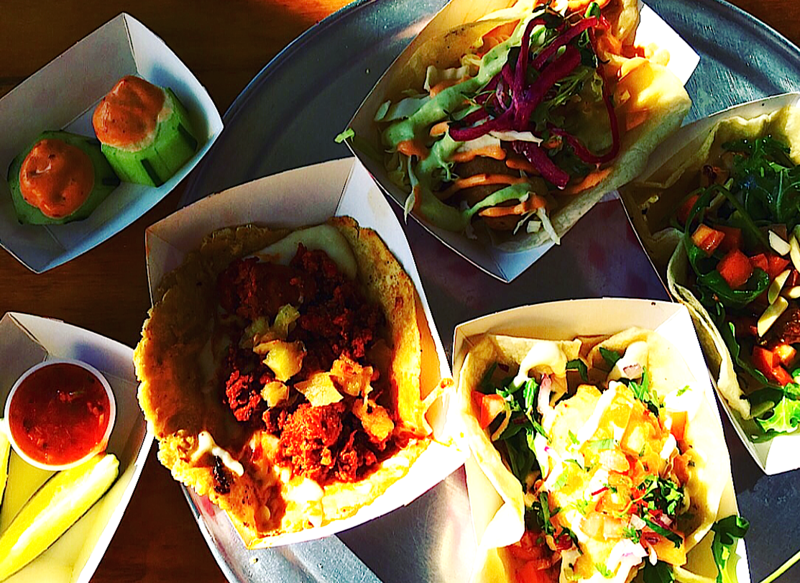 I have spent a day talking to young people, testing Tacos, Mexican pastries, sipping noodle soups and cambudcha to find the best spots in San Diego`s hippest neighborhood – NORTH PARK. 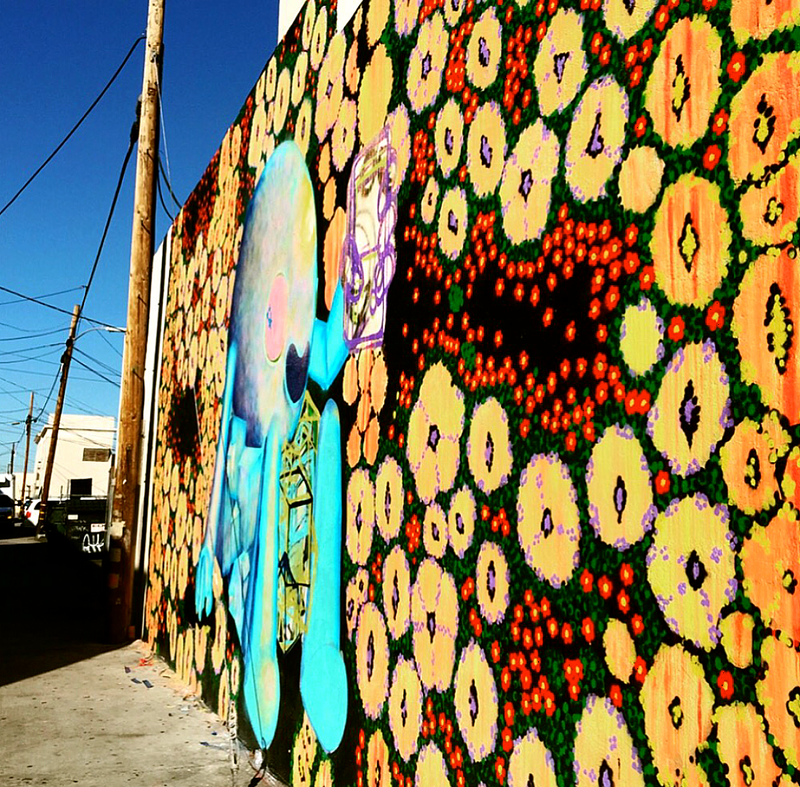 North Park is a bastion of creativity, individualism and entrepreneurial spirit. When I arrived in North Park, the air was still brisk but as on so many SoCal days the sun was shining bright and the sky was steel-blue. Although most shops were still about to open, the streets were lively and the atmosphere was vibrant. The dynamic energy of this part of the city is striking – North Park is a bastion of creativity, individualism and entrepreneurial spirit. University Avenue, the main street of the neighborhood, is studded with independent cafés, cool restaurants, diners, microbreweries, individual shops and boutiques. The intersection of University Avenue and 30 th street marks the heart of North Park – you can also find the well-known North Park sign here. The North Park Center Art Collection, has a remarkable lineup representing major works by renowned artists such as Andy Warhol and Frank Stella. The area is home to numerous art galleries and craftsman cottages. The second Saturday of every month, the largest and longest running art walk in San Diego’s history is held here – Ray at Night. This gathering of local and national artists, art galleries and other art-related ventures happens to be the biggest monthly artwalk in San Diego. The art festival is made up of over 25 galleries and art venues and a must-see event for any art lovers! Use this free chance to see some up and coming artists and their cutting-edge art. An eclectic and diverse array of individual restaurants, start-ups, as well as independent coffee shops, can be found along the main arteries of 30th Street and University Avenue. The area is also dotted with bars and night clubs that cater to a wide diversity of patrons. Blue Foot, True North and Sevengrand are cool bars that you should definitely check out if you are in the neighborhood. 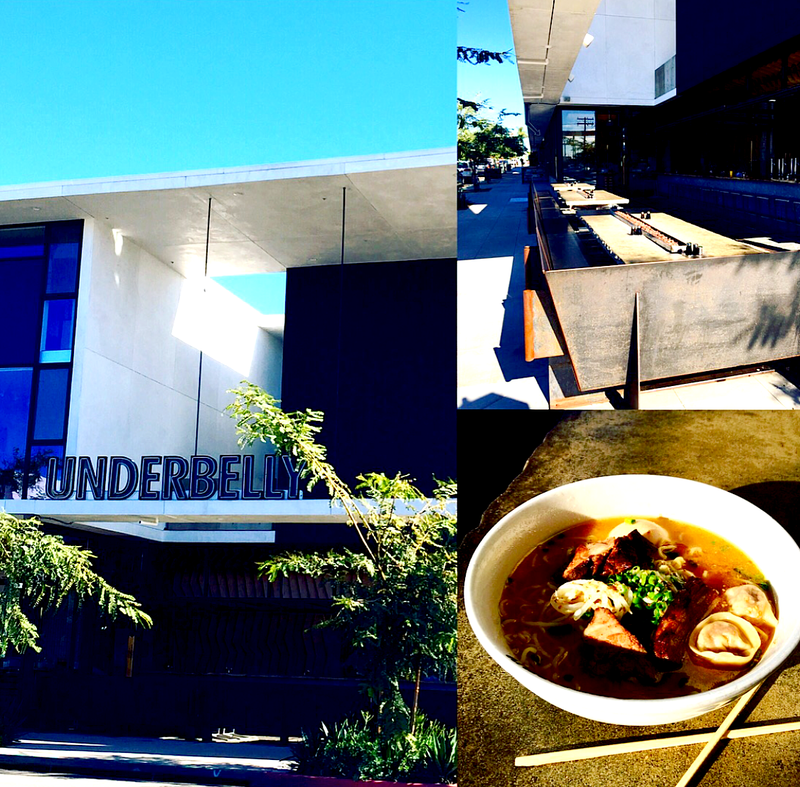 Underbelly is a stylish Japanese Ramen and beer restaurant. “Ramen” is a Japanese noodle dish in a broth, typically served with meat and some vegetables. The restaurant offers various versions of this healthy and nourishing meal. Every soup is prepared individually with fresh ingredients in the open kitchen. “Belly of the Beast Ramen” and “vegetable Ramen”, for all non meat eaters, are one of the most popular dishes to be chosen. The spacious restaurant has a huge open-air patio that is inviting on sunny days and a wide outdoor bar serving crafted beer. Underbelly. 750 W. First St. San Diego CA 92101. Pigment is a carefully curated one-stop shop for art, flora and thoughtful gifts. Interestingly enough, Pigment began as an idea between husband and wife deciding to open a Shop to promote their artwork and other local artists. 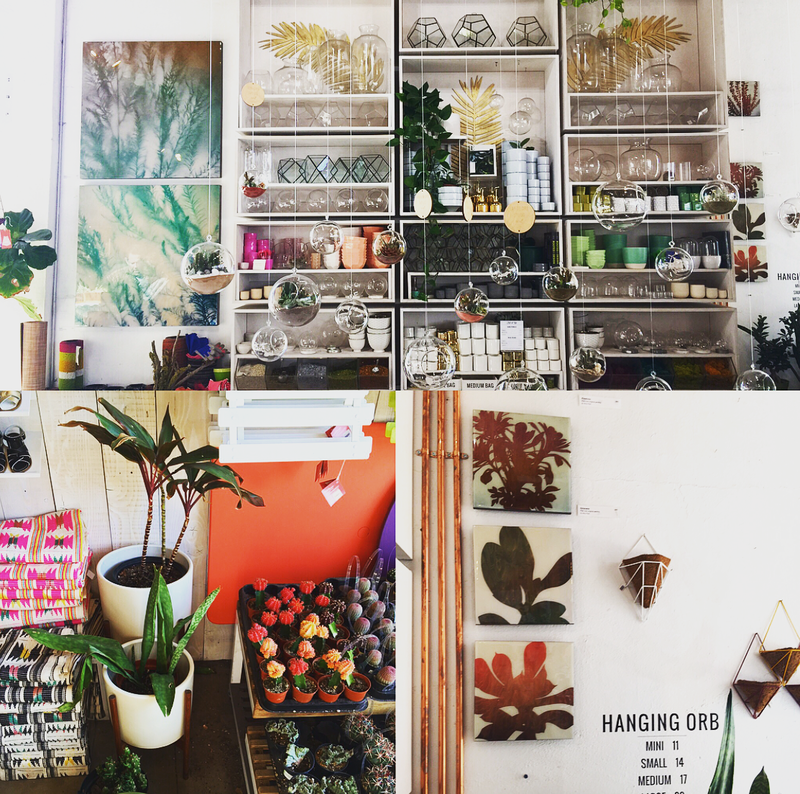 The Shop today is inspired by their love for design and nature. 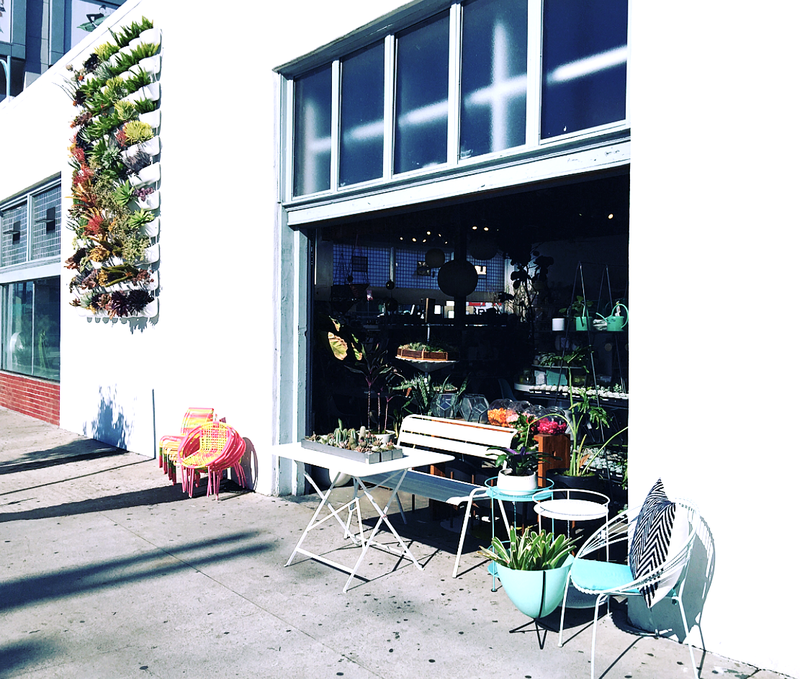 Pigment is a space for great gift ideas, interior and accessoires that are – organic, modern, friendly, homegrown and local coming from North Park in sunny San Diego, California – My favorite interior shop in town! Pigment. 3801 30th St. San Diego. CA 92104. Oh, these Tacos were delicious. City Tacos is my number one Taqueria in San Diego – must try! From fish to beef, chicken or vegetarian – every Taco wish is fulfilled here. 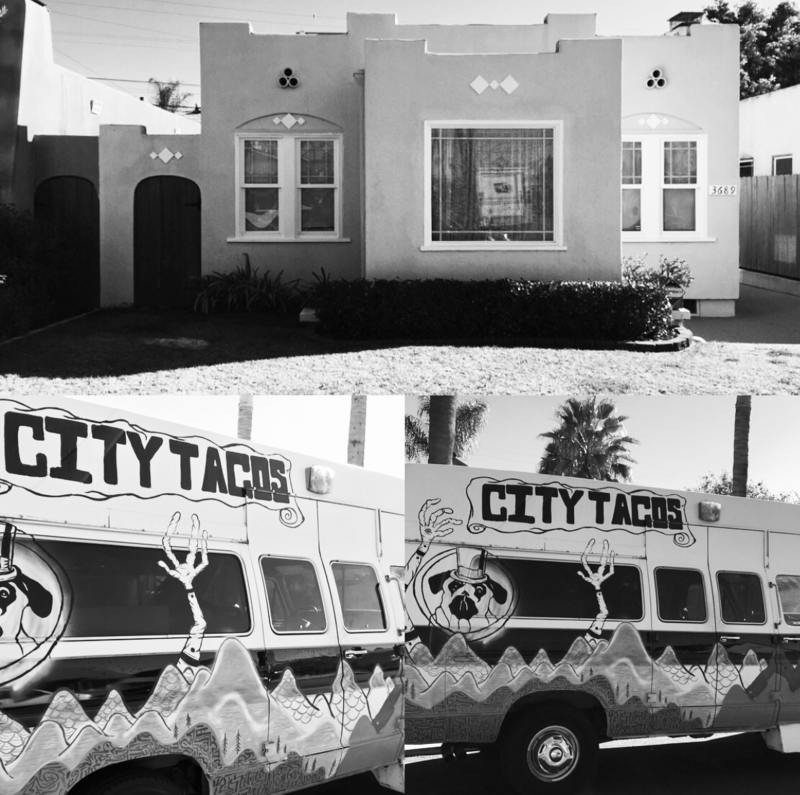 City Tacos is using incredible, fresh local products, the salsa bar and aguas frescas are prepared on site every day, and paired with flavors so good they really speak for themselves. Don`t miss the Taco Tuesday where all Tacos are $3 and imported Mexican beers $2. City Tacos. 3028 University Ave. San Diego. CA 92104. 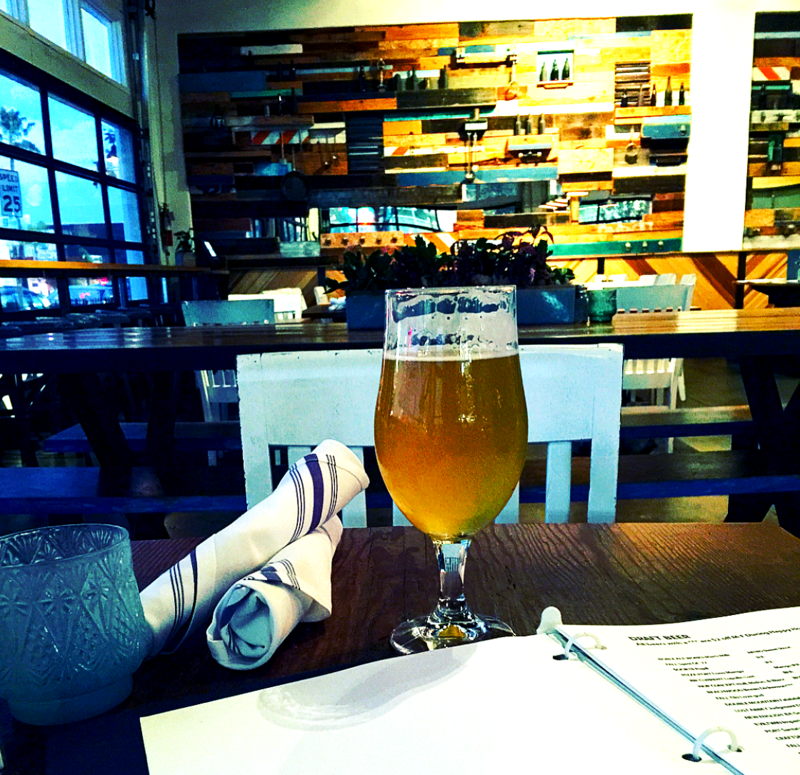 North Park’s neighborhood bistro and beer bar, Waypoint Public, is making a name for itself as the city’s go-to for unbeatable craft beer and food pairings. 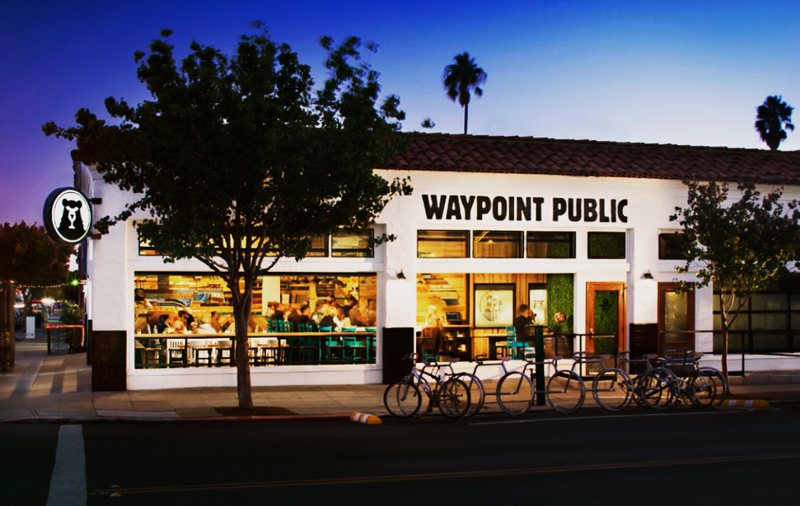 Waypoint Public is recognized as one of the “Best New Beer Restaurants” in the U.S. by Draft Magazine and “San Diego’s Best Beer Restaurant” by West Coaster. And indeed, the beer tastes awesome! You can choose from a lineup of 100 bottled craft beers from all areas of the globe and over 30 West coast craft beers – from fruity and light to bitter and more lingering aromas – any beer taste will be suited. The restaurant is open for dinner daily at 4 p.m. Lunch is offered only Wednesday through Friday from 11 a.m. to 3 p.m. The food is fresh, authentic and delicious. The diverse menu offers anything from burgers to Linguine or Enchiladas – I followed the suggestion of the friendly waiter and had the Panang Curry Vegetables, which were mouth-watering. Happy Hour is during the week from 4-6 pm. Great location, delicious food & drinks and super friendly service – Thumbs up for this place! Waypoint Public. 3794 30th St. San Diego. CA 92104. Encontro is a brand-new opened restaurant at University Avenue that offers seasonal, chef-driven dishes served in a unique Paul Basile-designed space. 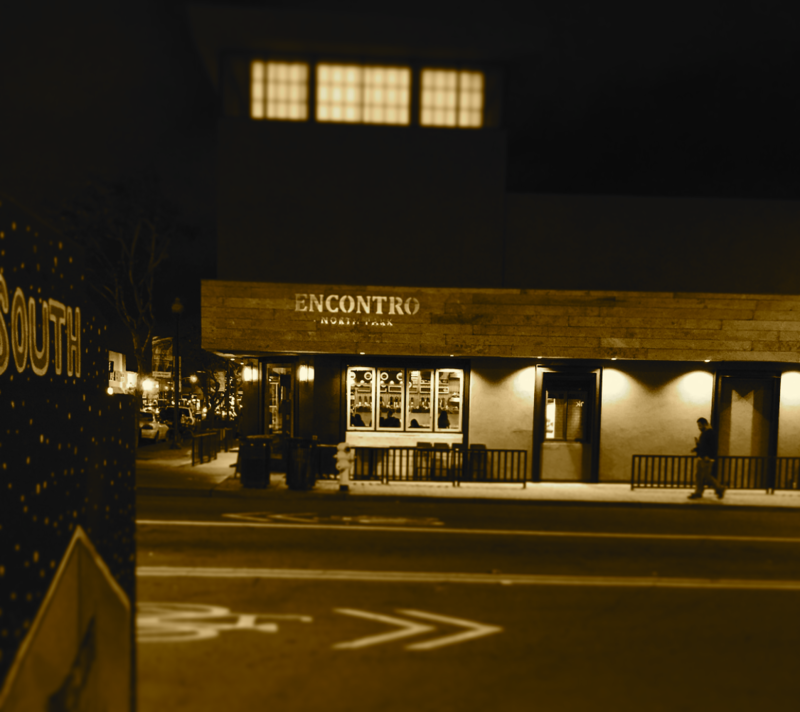 Encontro from the verb “Encontrar” – “To meet, to find, or to discover” – was conceived to offer a new vision for craft food in North Park. Enjoy burgers, steaks, spicy chorizo, savory sausages or salads with toppings from the open grill. 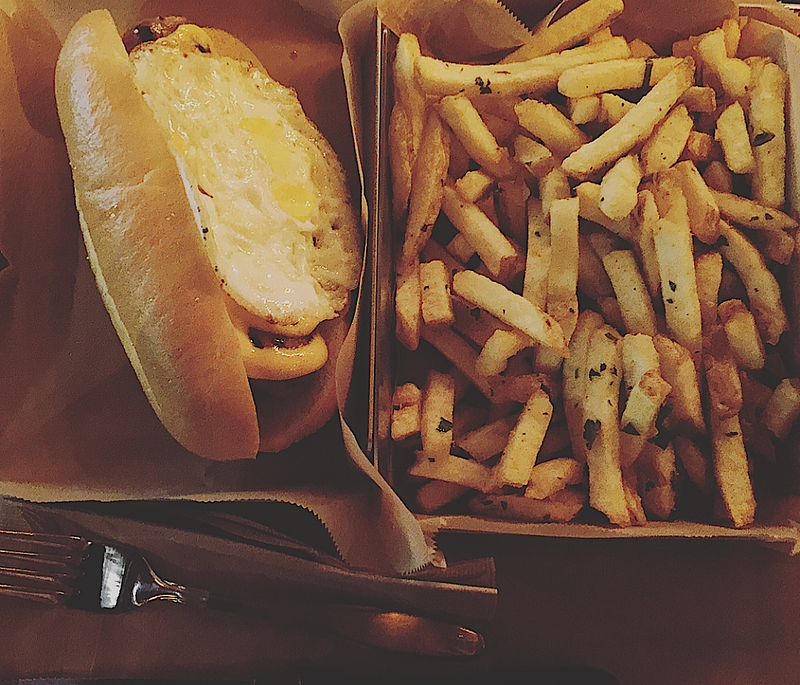 A walk-up window right in the heart of 30th Street will quell your late-night cravings. 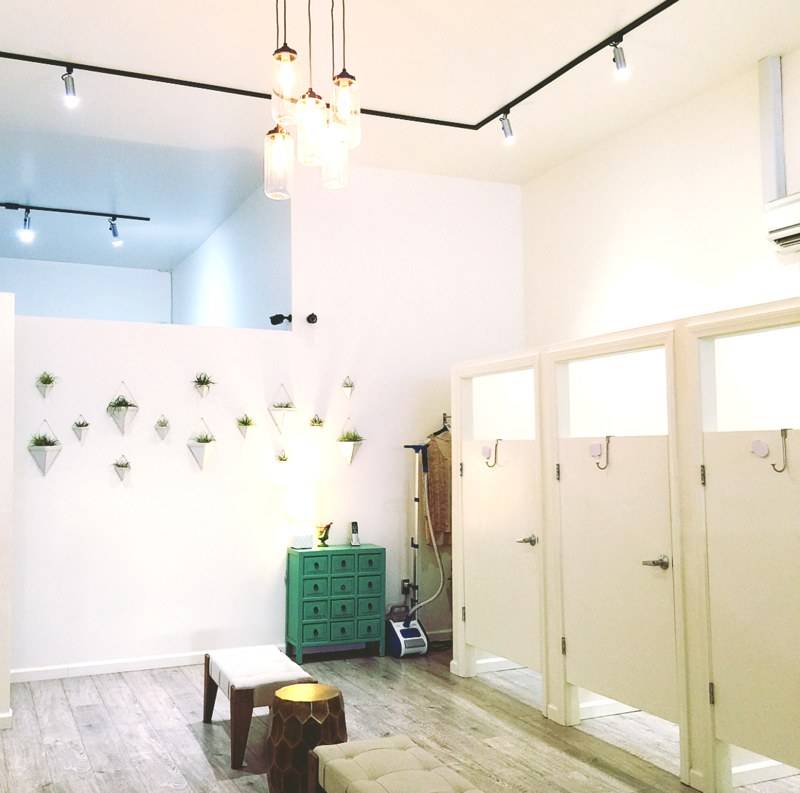 Encontro – a place where cool coexists with quickness and convenience. Encontro. 3001 University Ave. San Diego. CA 92104. 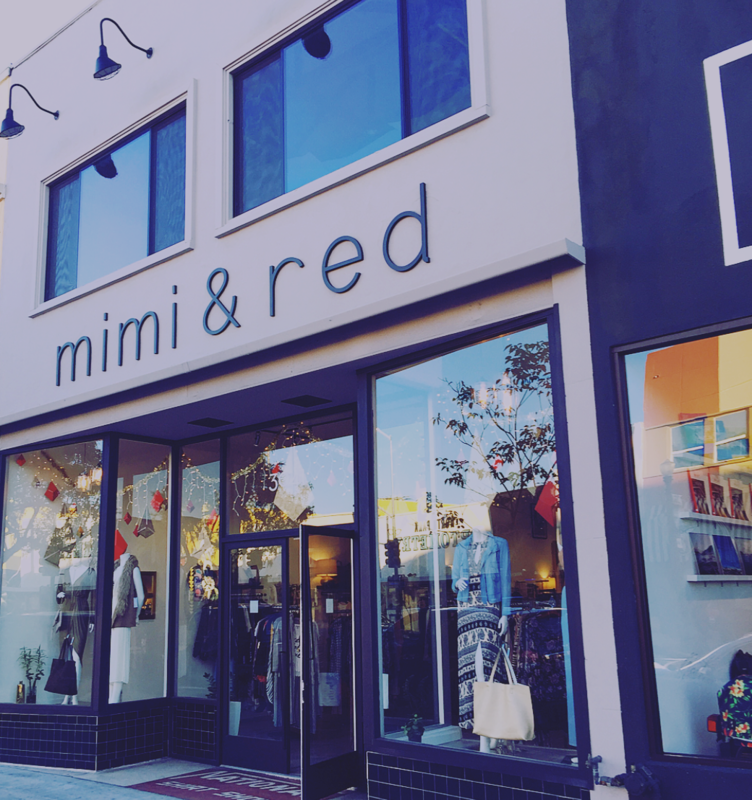 Mimi & Red is a neat Boutique in the main street of North Park where you can find cute outfits and accessoires for reasonable prices. The tasteful interior design and friendly staff committed to help finding the perfect piece are inviting. Mimi & Red certainly knows how to brighten up a woman’s day – The LOVE for great style and happy customers can be felt. Mimi & Red. 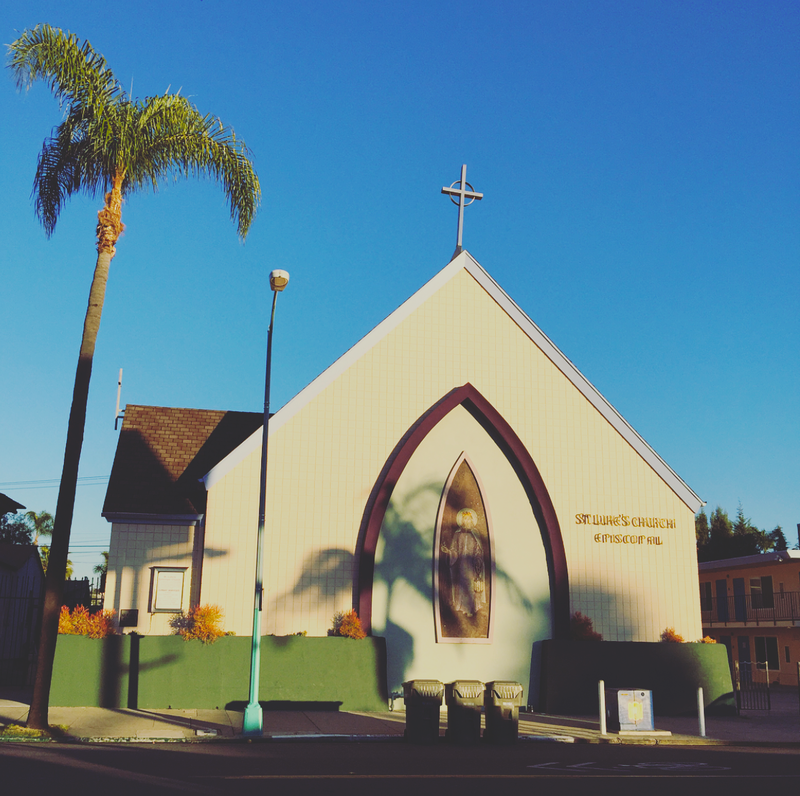 3041 University Avenue. San Diego. CA 92104. Holsem Coffee roasts their own coffee beans. 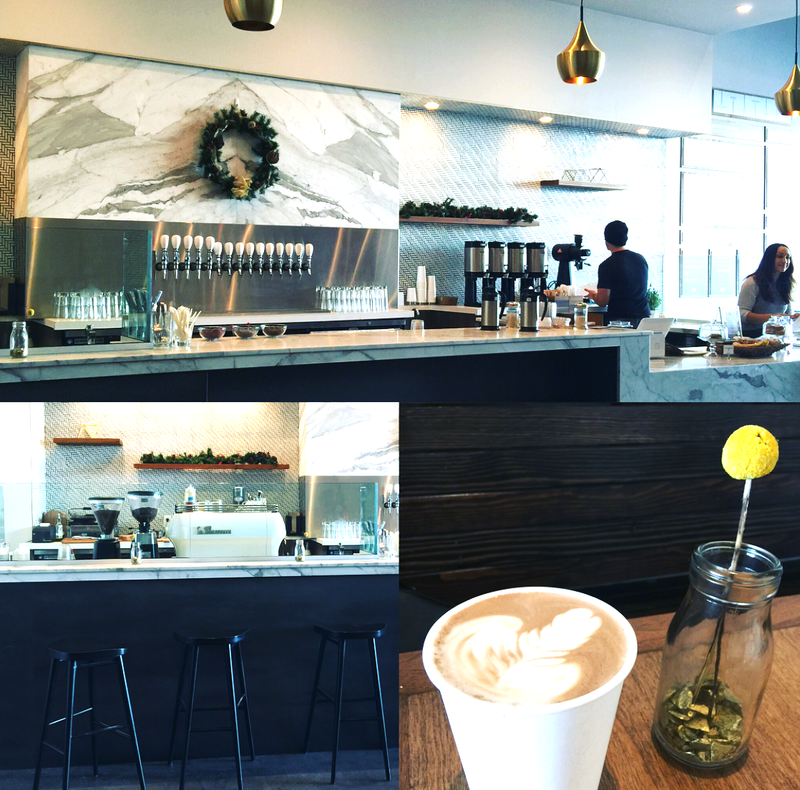 The purity of ingredients for beverages and pastries converge with high design for a wholesome mix of excitement and energy. Holsem only uses best quality for their beverages and pastries. Their moccha with white chocolate is scrumptious. Holsem Coffee. 2911 University Ave, San Diego, CA 92104. Posted in Travel and tagged cafes, hipster, north park, restaurants, San diego, Tips. Bookmark the permalink.